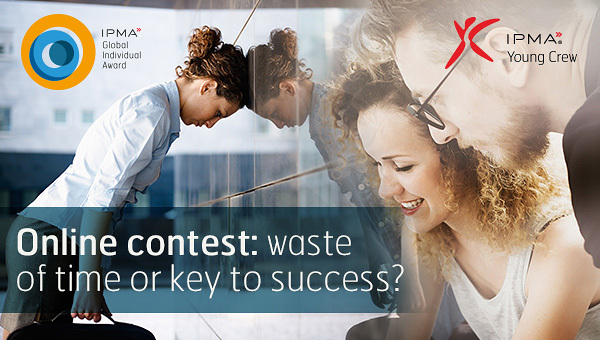 Online contest: waste of time or key to success? A global individual award for young professional project managers is a great way to build a personal reputation and get new knowledge. Participation in a successful international award gives you the opportunity to keep developing yourself in many different directions. In order to apply to this award, you need to decide which project your performance was most unique and remarkable as a project manager. The participation will allow you to review and demonstrate your project, as well as analyze your strengths and results of your actions. Besides, it is important to note that the rules, selection conditions and evaluation criteria of the award are transparent. All the important characteristics correspond to the main principles of the Young Project Manager of the Year (YPMY) project. Undoubtedly, every contemporary project manager prefers to keep up with the rapidly growing world of virtual collaboration, thus and so your active participation in YPMY is a brilliant way to compete the challenge showing your strengths and experience. The main principle here is to motivate yourself to do something new and get inspired with your own successful actions. Your professional and personal experience is unique, and, what is more important, to share it with others. While you develop yourself as a leader, you become more enthusiastic and passioned about what you are doing, and what gives you future career bonuses. YPMY gives the chance to expand your horizons, meet professionals from around the globe and build strong communications. Working on your own project you will learn more about different working cultures, project management and trends in this area from well-respected experts, jury members, organizers and all other participants. This is a great opportunity to test yourself and get useful contacts or even friends around the world. While working on your project, you will apply your self-organizing skills, creativity, professionalism, ability to find better solutions and to cope with various difficulties keep doing your work. Your desire to achieve the goals on this high level demonstrates the best qualities of you as an ambitious leader, and gives you a new perspective for career development. It is time to take the challenge and show your best result! Join our Webinar and learn how to apply for the Young Project Manager of the Year award! Super Project Manager mode ON! Applications for the award of Young Project Manager of Year are now open! YPMY 2018 edition is launched! The finalists of the YPMY 2017 selected! The Young Project Manager of the Year 2016 announced! Join the team for the YPMY Award! Winners of the Young PM Award are travelling to Panama! © 2015 All rights reserved. International Project Management Association.